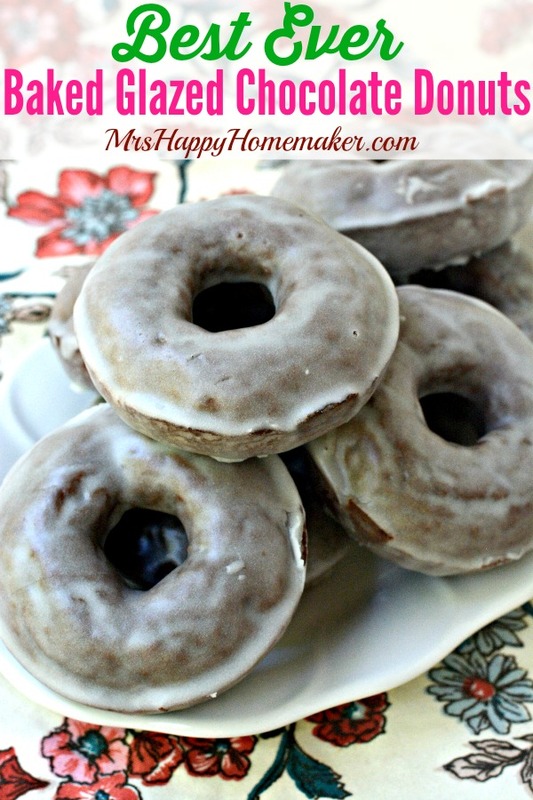 Looking for a great baked donut recipe? 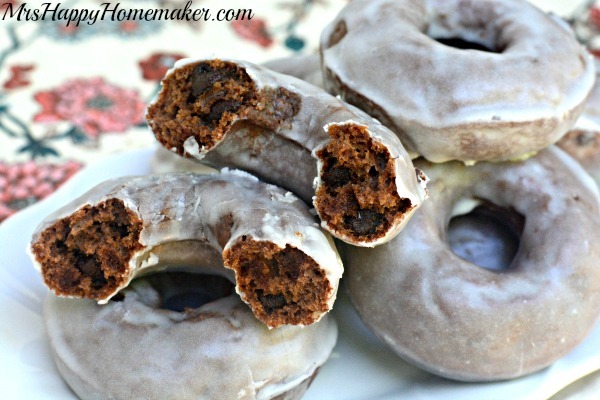 Look no further because these Baked Glazed Chocolate Donuts are the BEST EVER! 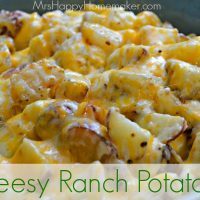 They’re oh so easy & extremely yummy! Wouldn’t it be nice if we could get refunds on the calories from foods that don’t taste as good as we expected? Since that’s not an option, I make sure I save mine for the things I know I love. 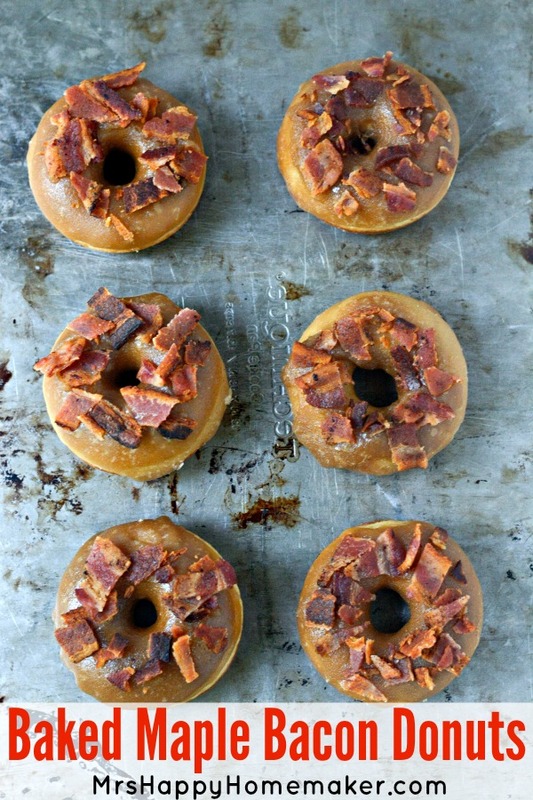 And if I’m using them on donuts, they best be yummy! That’s why I’m so excited for this week. This week – it’s Donut Week! 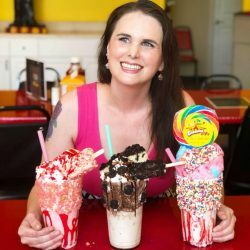 National Donut Day falls on June 5th, so I thought it would be fun (and delicious) to share delectable donut recipes all week long to celebrate. And I can guarantee, these donuts are so worth the calories! 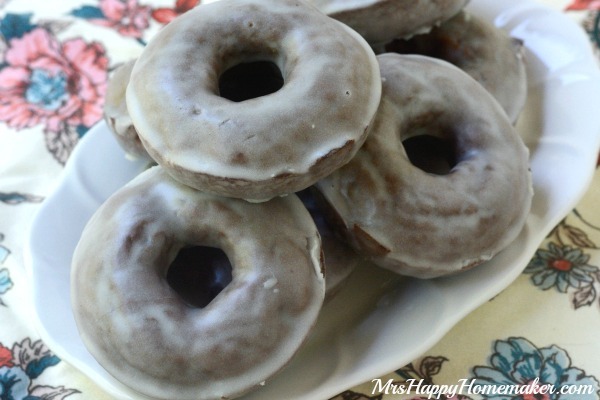 First on the list for Donut Week are the BEST EVER Baked Glazed Chocolate Donuts. I use these donut pans that I get on Amazon, and I actually own a couple of them. I’ll be the first to admit, it’s a little difficult to get really good baked donuts when you’re comparing them to fried ones – but let me assure you… you won’t even miss the fried part once you try these. 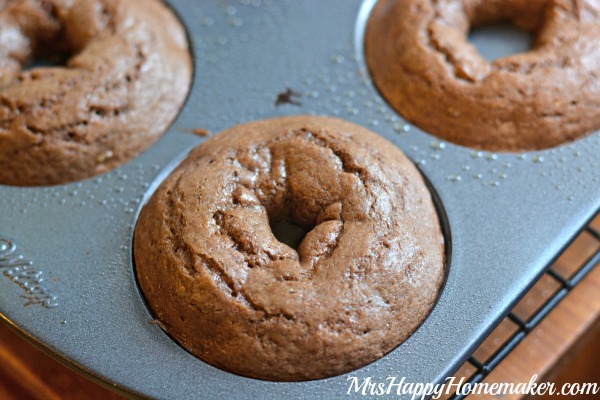 They’re the perfect glazed chocolate donut, & it’s so hard to not eat the entire batch in one sitting because of how delicious, chocolately, & glorious they are. 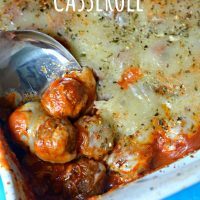 Plus, because they’re baked – they’re super easy. 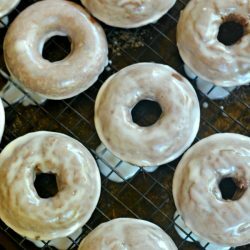 You just mix up the batter, disperse it into the donut pans, bake for a short amount of time, and quickly dip in my super simple glaze recipe. I feel the need to quote Homer Simpson now…. “Mmmm, Donuts”. 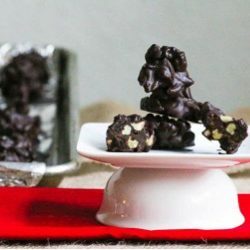 Combine 2 cups of self rising flour (all purpose measurements in recipe at end of post), 1 cup of sugar, 1/2 cup cocoa powder, & 1 cup milk chocolate chips. 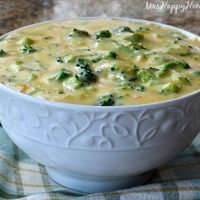 In a separate bowl, whisk together 2 eggs, 1/2 cup milk, 3/4 cup sour cream, 1/2 cup vegetable oil, & 1 teaspoon of vanilla extract. 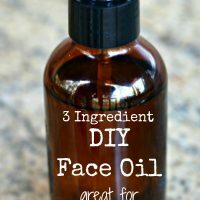 Mix the liquid into the dry ingredients until combined, being careful not to over mix. 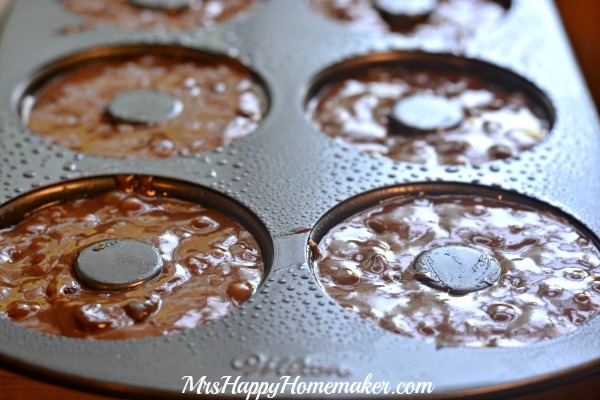 Spray 2 donut pans (with 6 donut openings in each one) with nonstick cooking spray. Spread the batter into the donut openings. 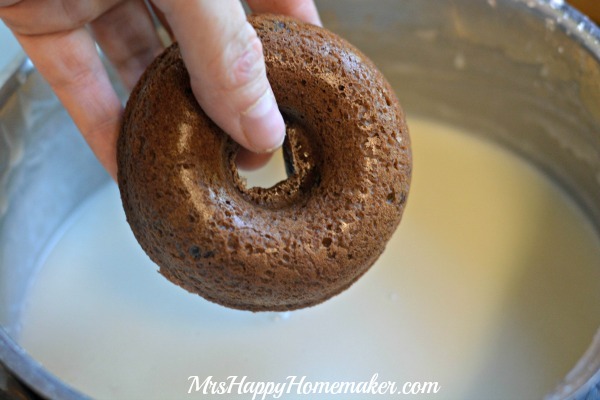 It makes it easier if you scoop the batter into a large ziploc bag, cut off the corner with scissors, & pipe it into the donut openings – but that’s not necessary… just a tip! 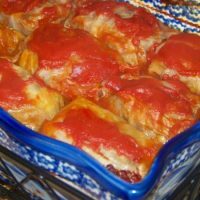 Let cool for a couple minutes in the pan, then flip them over to a wire rack. Glaze while still warm. 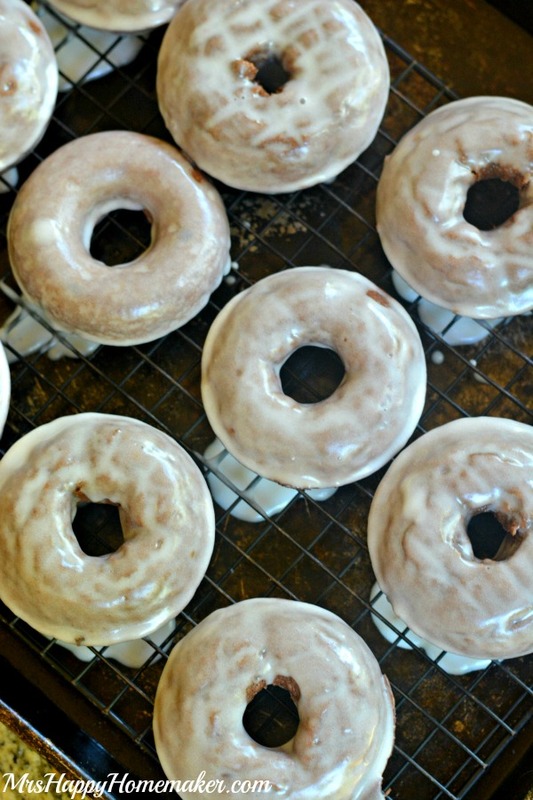 While the donuts are in the oven, you’ll need to make the glaze. 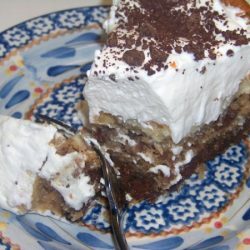 In a small saucepan, whisk together 4 cups of powdered sugar, 3/4 cup heavy cream (can sub for whole milk if you don’t have cream), & 2 teaspoons of vanilla extract until well combined & the sugar is dissolved. 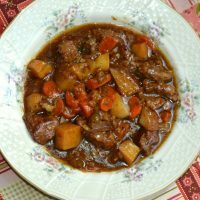 Remove from heat. 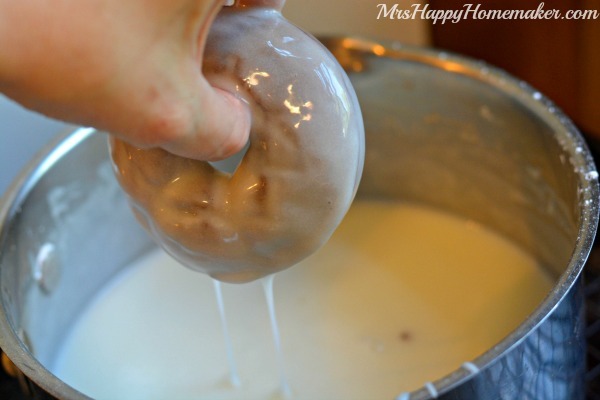 Dip the warm donuts in the glaze on each side, making sure to thoroughly glaze. So yeah, you could totally use something like chopsticks or the end of 2 wooden spoons to do this… but I’m a hands on kinda girl. 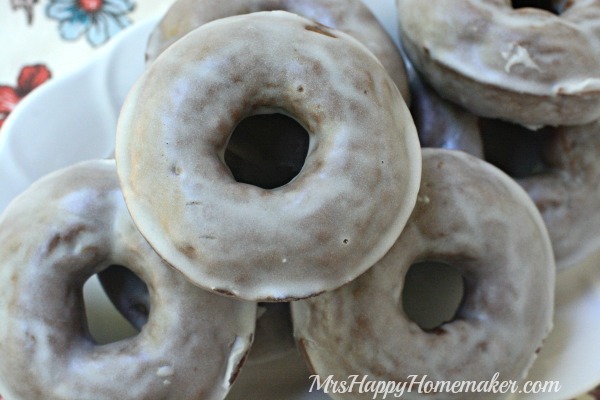 Place the glazed donuts on a wire rack lined bakers sheet til the glaze sets. Preheat oven to 375 degrees. 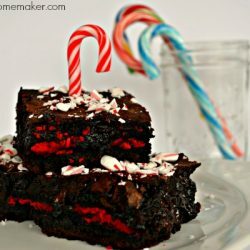 Combine the flour, sugar, cocoa powder, & chocolate chips together. 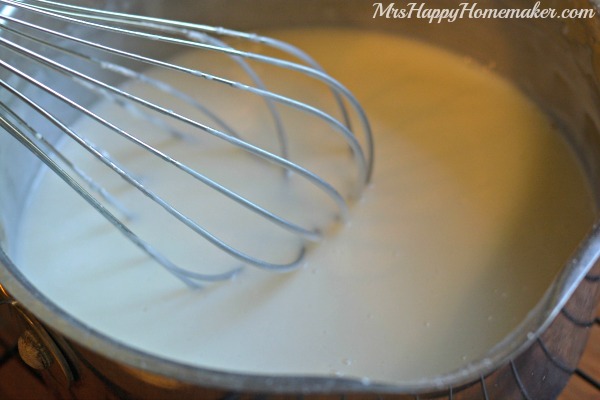 In a separate bowl, whisk together the eggs, vanilla extract, sour cream, vegetable oil & milk. 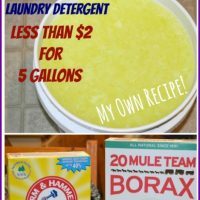 Mix together the liquid mixture with the dry mixture until combined, being careful not to over mix. 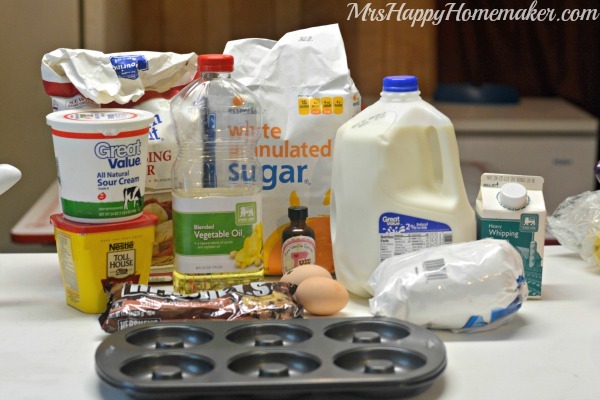 Distribute the mixture evenly between the donut holes in your donut pan. It makes it easier if you put the batter into a ziploc bag, cut off the tip, & squeeze it in the donut tins, but it’s not necessary. Bake at 375 for 8 minutes. Let the donuts stay in the pan for a couple of minutes to cool before turning them out onto a wire rack. While the donuts are in the oven, make the glaze. 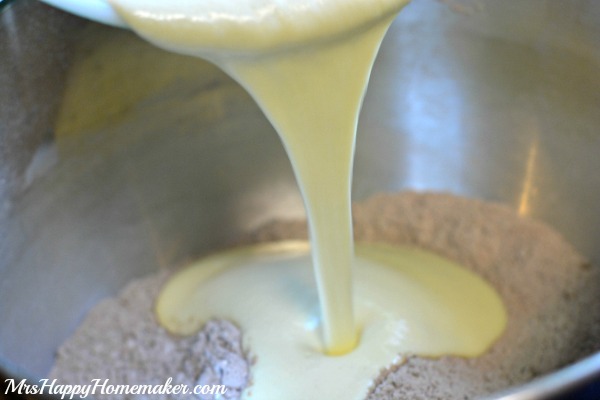 Mix together the glaze ingredients in a saucepan over low/medium heat until combined & the sugar is dissolved. Remove from the heat. Glaze the donuts while still warm by dipping the donuts into the glaze, thoroughly coating all sides. Cool on a wire rack over a baking sheet until the glaze is set. Craving more donuts? Stay tuned the rest of this week for the remainder of Donut Week! 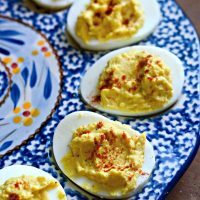 You’re gonna LOVE these recipes! 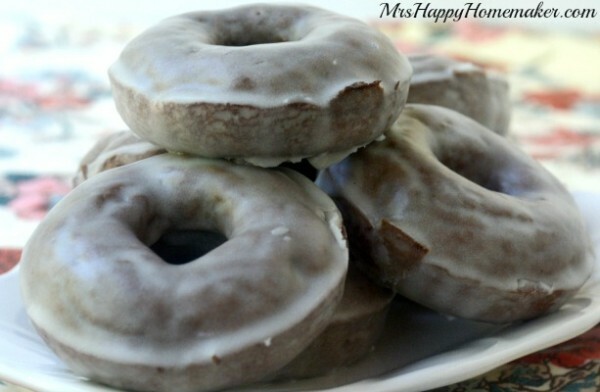 You may also like these delicious donut recipes! 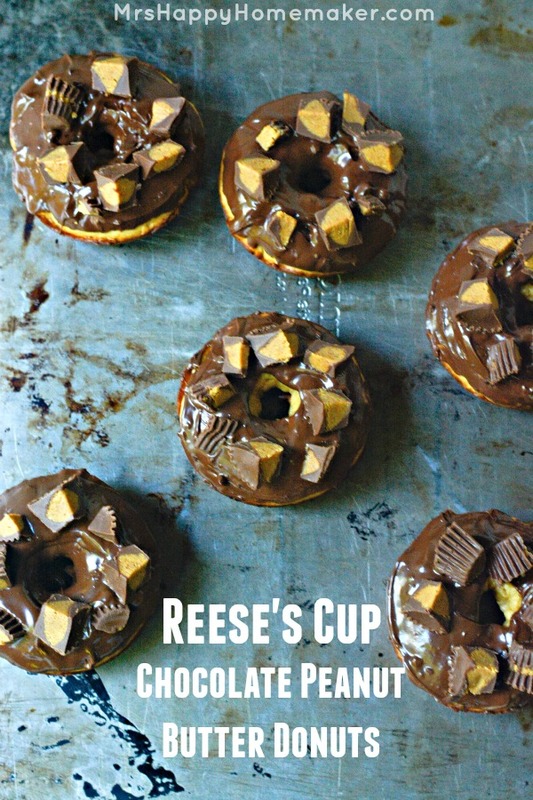 Pingback: Reese's Cup Peanut Butter Chocolate Cake Donuts - YUM!